Printable digital collage file. One inch circles. Salt Lake City Temple. 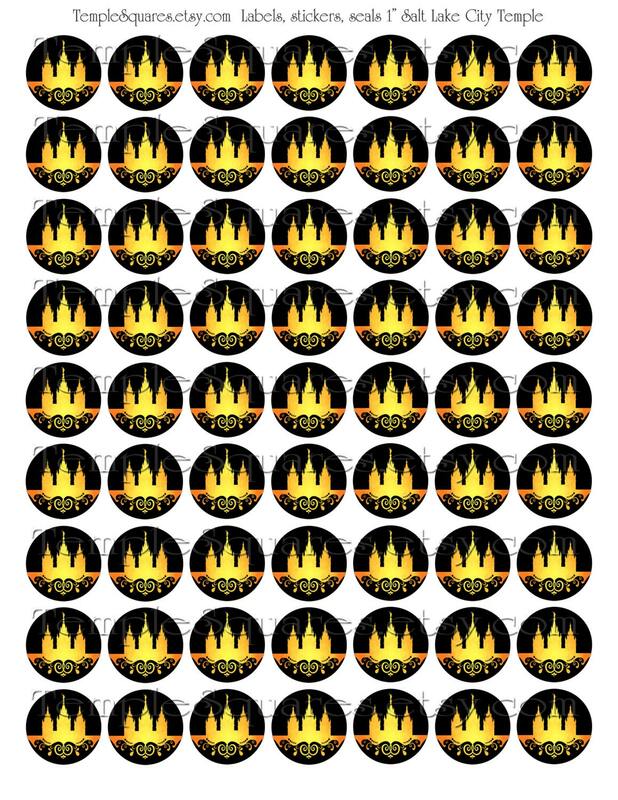 Matches current YW Young Women 2016 Theme "Press Forward" Designed to be able to print on an avery 1" sheet of circle label template to create stickers, or print on nice presentation paper for best results. You can place your own names, dates etc... over top of this image file if you want to customize them for an event or lesson. Purchase includes one DIY printable digital file JPG format. 8 1/2" x 11" sheet and one digital file in a 4"x6" format for easy printing at your local photo printer. Printable digital collage. Designed to work on an Avery 1" label template to create stickers. 8 1/2"x11" sheet circles are slightly over 1" to make it easier for you to print on label sheets without white edges showing. 4x6 is exactly 1" circles. Either one can be easily printed at photo printer or at home. 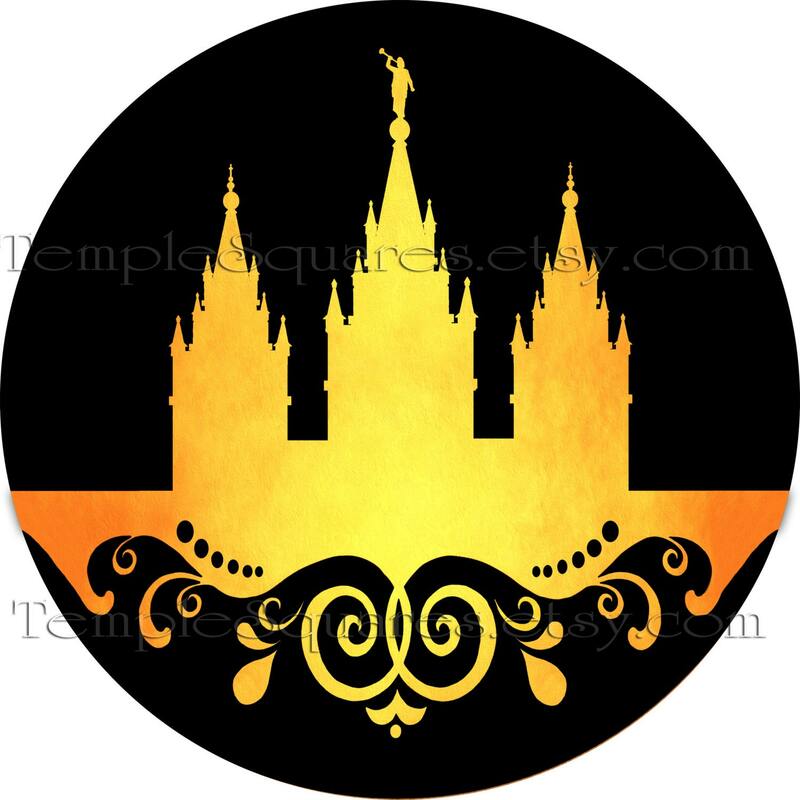 Great for DIY crafts, bottle caps, envelope seals, pendants, necklaces, key chains, magnets, bookmarks, awards, farewell gifts, care package gifts, birthday gifts, Christmas gifts, gift for missionaries, Relief Society Birthday Party or visiting teaching. We made necklaces and hung on a branch for our Relief Society Birthday Party Decoration. Then each sister that came received one that night. We also gift the new incoming Young Women. Instant Digital download upon payment. License for personal use and one ward Young Womens Organization use. No commercial use. Please send friends and relatives here to purchase their own file. Thank you. For stake use; purchase group use listing with it.